PalmerCash has been leading the pack in our industry since 2003. We know what we are doing, and we do it well. We think about t-shirts in our sleep. We specialize in creating that buttery soft shirt that you can't take off. The one you want to wear everyday. Forever. It will have you reminiscing over that 80's grunge band tee that you still keep in your drawer, but without the holes. We won't print something we wouldn't want to wear, and we have pretty cool style. So, I promise, you're in good hands. We have printed millions of shirts, and we don't plan on slowing down any time soon. 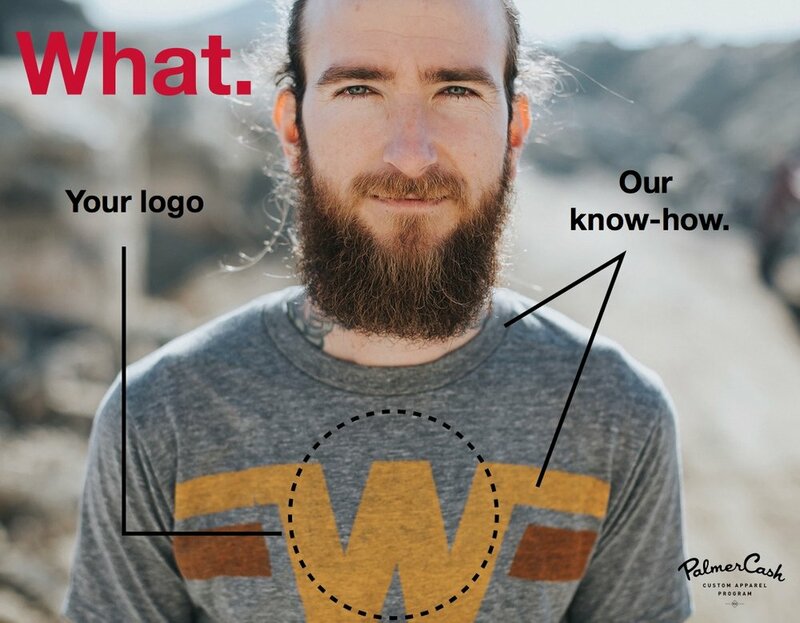 When you're ready to take the next step in marketing and apparel for your business, we are here. Open arms.